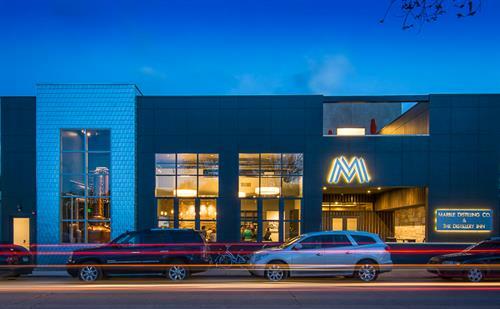 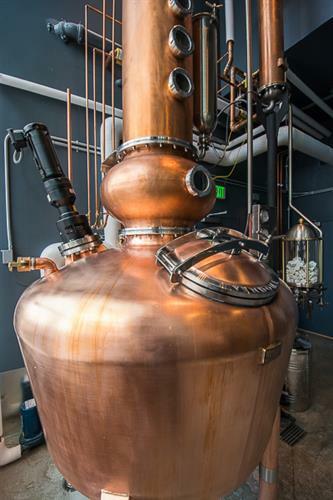 Adding to the vitality of downtown Carbondale, Colorado, Marble Distilling Co. is a family owned and operated craft distillery, tasting room, and luxury boutique inn on the east end of Main Street. 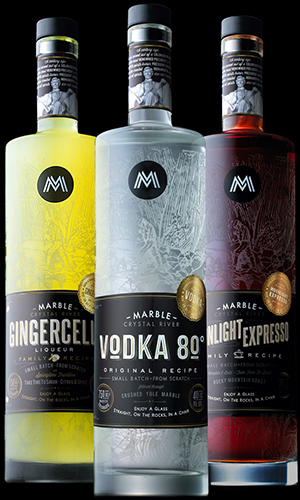 Marble Distilling Co.'s handcrafted, artisan spirits, are pot distilled through crushed Yule marble using Colorado grown grains and pure Crystal River spring water using 100% American made distilling equipment. 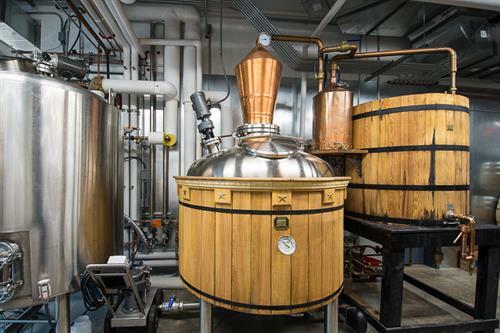 The distillery features a tasting room, lower level patio with fireplace, rooftop deck and members-only Barrel Room. 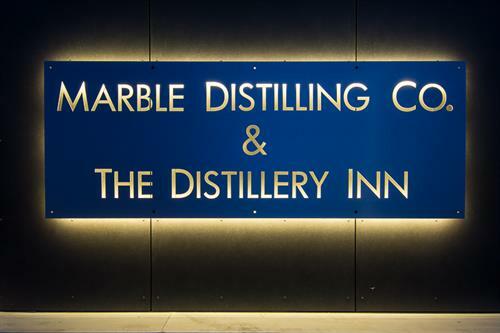 Guests will enjoy contemporary luxury at The Distillery Inn in the heart of downtown Carbondale. 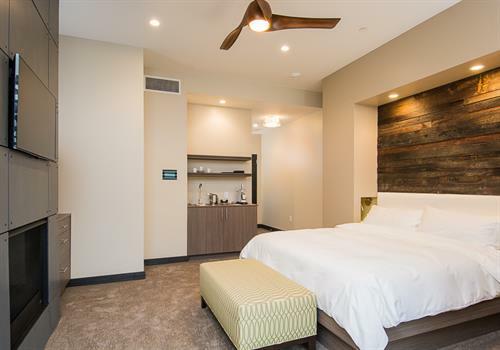 Five King sized rooms boast hand-selected sustainable materials, sophisticated finishes and elegant Fili D'Oro Italian linens. 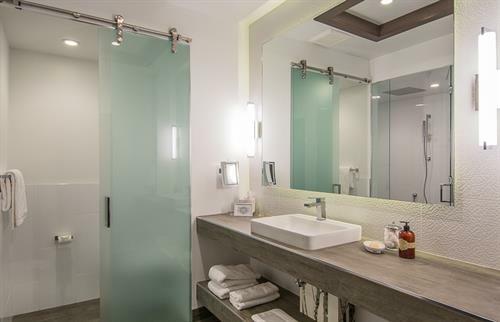 Luxurious bathrobes and bath amenities by Colorado based Ranch Organics compliment the oversized bathrooms. 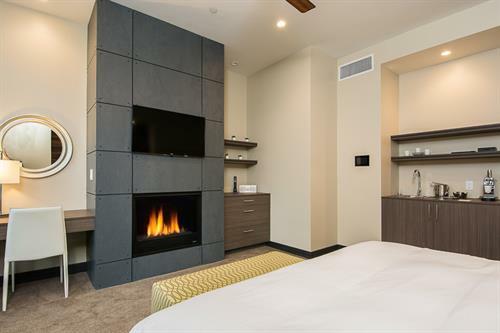 All rooms offer a fireplace and private balcony with breath-taking views of Mt. 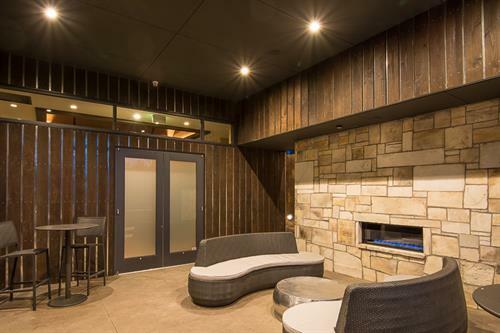 Sopris, while the Moonlight Suite offers a private courtyard with outdoor fireplace, fabulous for nighttime stargazing. 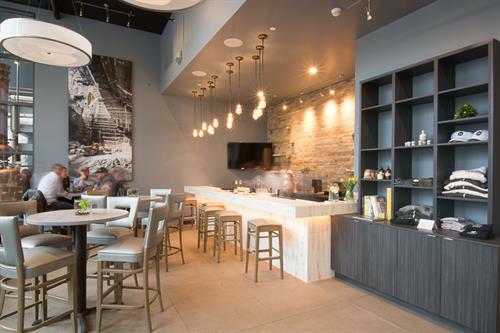 Other amenities include flat-screen TV's, coffee brewers and a personalized mini bar.